BUENOS AIRES: International Monetary Fund chief Christine Lagarde cautioned the United States against putting up barriers to trade in an interview published Sunday. “Trade wars leave no winners,” she said in the interview with Argentine daily La Nacion, responding to a question about President Donald Trump’s decision to slap tariffs on imported steel and aluminium. She said poor countries and poor people in rich countries have benefited from the surge in global trade over the past decade, but acknowledged that some regions and industries have suffered. “The effect generated by innovation and trade should be taken into account to remedy that harm, but trying to reduce trade or erect additional barriers won’t generate any winners,” she said. 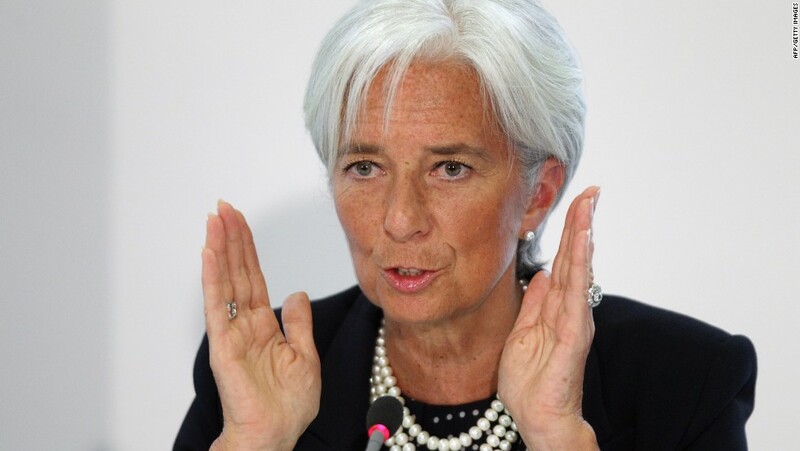 Lagarde is in Buenos Aires for a meeting Monday and Tuesday of G-20 finance ministers and central bank presidents. “That doesn’t mean there aren’t some clouds on the horizon that we should pay attention to,” she said. Trump’s sudden decision earlier this month to impose a 25 percent tariff on steel and 10 percent on aluminium has revived fears of a trade war. He has since extended temporary exemptions to Mexico and Canada, pending renegotiation of the North American Free Trade Agreement (NAFTA). But the European Union has threatened retaliatory tariffs on US goods unless it is exempted. South Korea also is seeking an exemption and China has warned it won’t stand idly by if its interests are harmed. Lagarde noted the rise of China as an investor in Latin America, saying it was only natural that the world’s second-largest economy would seek partnerships in the region. “Any country like the United States or Europe might have thought in the past of this region as part of its territory, and (they) are now surprised because it no longer is,” she said.